As if there weren’t enough people chomping at the bit to buy Facebook shares, analysts from multiple research firms are bullish on the social giant’s forthcoming IPO. 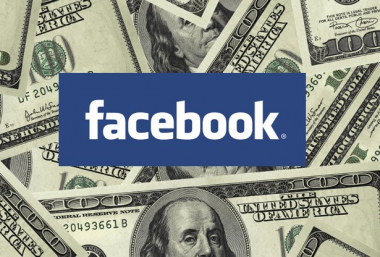 Stern Agee analyst Arvind Bhatia initiated coverage on Facebook shares on Monday morning with a “buy” rating, setting a price target at $46 for the next 12 months. Bhatia’s take comes on the heels of a similar, though informal, coverage note issued to media last Friday from Wedbush Securities, where the firm targeted Facebook’s share price at $44. Both targets are set squarely above Facebook’s estimated share price range of $28 to $35, and would value the company at close to $100 billion. Bhatia’s report cites Facebook’s upheaval of the online ad industry, a harbinger of change similar to the likes of Google almost eight years previous. Taking into account Facebook’s massive 900 million user reach, steadily growing average revenue per user numbers and the company’s high — though as yet untested — hopes for mobile monetization, Bhatia’s outlook on the company is bullish. The fervor for Facebook’s stock is at an all-time high in light of the company kicking off its roadshow to potential investors this week, with Zuckerberg and CFO David Ebersman making pitches in person. Though it doesn’t seem like investors need much convincing; the roadshow festivities began midday on Monday at the Sheraton Hotel in Manhattan, with more than 500 investors and analysts flooding in to get a peek at Zuck’s performance. An onlooker said the CEO looked “likeable and affable,” according to an article in The Wall Street Journal. And no, there was no half-windsor around Zuck’s neck — he made the pitch in his trademark hoodie.